Yam Aisner, a Global Sustainability Fellow from Israel who has been traveling around Central America working on permaculture and sustainability-related projects for almost two years, recently sent this missive from Nicaragua. We think it’s a great example of dealing with a problem from a material, economic, social and spiritual standpoint, and we couldn’t help but share! Hello dear fellows. I hope that all of you are busy with great things. I wanted to share the story of a hotel owner where I was staying in Nicaragua. He inspired me greatly and made me think of Martina Bustos, and all of you. I am grateful to have happened upon Hacienda Merida, a hotel on the island of Ometepe, Nicaragua, during my short visa run out of Costa Rica. A wonderful surprise surfaced about the hotel owner, Alvaro. Motivated to provide education for his newborn child and the local people, to reduce the amount of plastic garbage on the streets, and to change the improper garbage management in the area (burning or burying plastic, which contributes to climate change), he turned garbage into a resource by creating an alternative employer/employee exchange system. Eco-brick is created when a large amount of inorganic garbage in compacted inside of a used plastic bottle. On average, 400 grams can fit into one bottle. Eco-bricks can be used in construction to minimize costs by reducing the amount of cement that is needed to build. To build his first classroom, Alvaro needed 5,000 eco bricks, which is a lot of garbage. To get those bottles, he obligates his personal staff to bring four bottles each month during the high season of work. Third-party service providers to his hotel guests (massage therapists, taxi drivers, tour guides, etc.) who would usually pay a commission to the hotel for access to tourists are now obligated to pay that commission in eco-bricks. 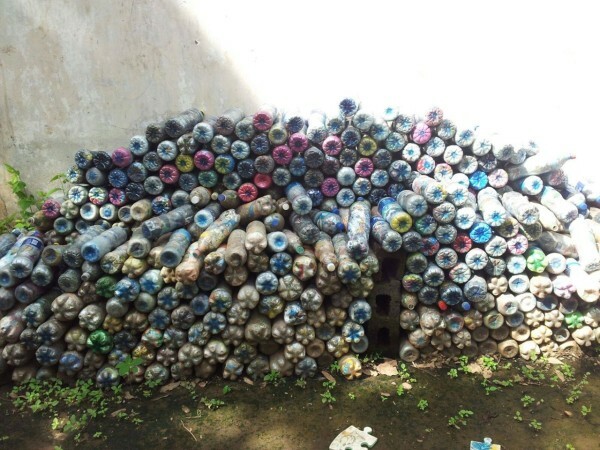 Since the hotel staff and service providers do not have enough time to make the eco-bricks themselves, a new job opportunity arose for people in the village. They collect garbage from the streets, make the eco-bricks and sell them to the staff and the service providers for 60 cents per bottle. 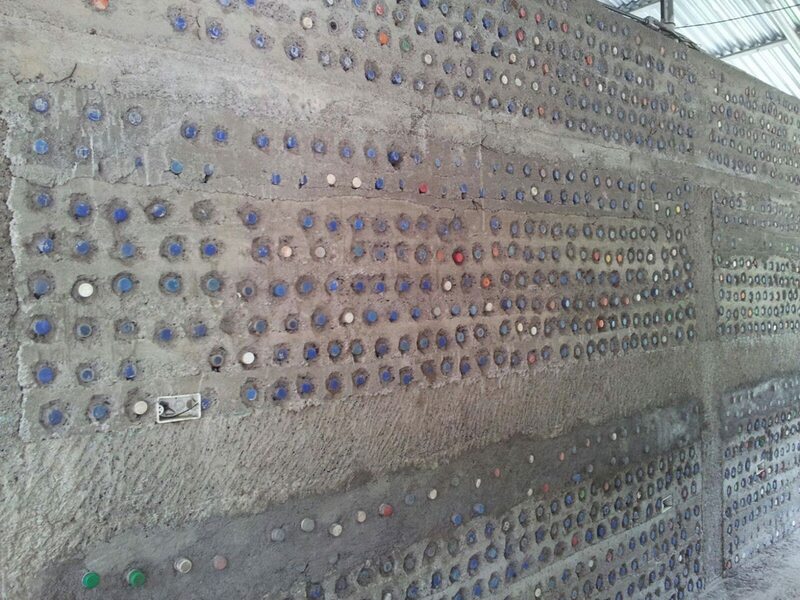 This system helped Alvaro collect 5,000 bottles and build the first class room by 2012. When there was little Internet access in the village, Alvaro let people use the Internet at a rate of one hour of computer time for one eco-brick. Children used the internet the most, which presented a way to educate the younger generation about eco-bricks. Today, Alvaro is building his fourth classroom in his kindergarden through sixth-grade school, which offers free education to the village children. The funds that Alvaro needed to complete construction of the school come mostly from his hotel income and from private donations made by tourists who have visited his hotel and decided to help him fulfill his vision. The school space is also used for community education: English classes for adults and high school students are taught in early evenings. Now it has become hard to find garbage in the village streets and Alvaro is expanding his system to nearby villages, raising awareness of better waste management and creating more jobs.